(August 8, 2018) Tamia definitely has one of the finest voices to ever enter the world of R&B and urban contemporary. And with enduring songs like “You Put a Move on My Heart,” “Stranger in My House” and her Grammy-nominated “Beautiful Surprise,” we’ve been following her career every step of the way. She’s been on a bit of a hiatus in music since dropping Love Life four years ago, but that career pause has come to a sweet abrupt end now that new music has dropped. And boy, oh, boy what a drop it is. On the Julio Reyes Copello-produced “Deeper,” the songstress pours her heart and soul into four minutes of musical wonderment. Reminiscent of Kesha’s powerful “Praying,” things open with an intimate piano as she opens up about the brutal highways of heartbreak. “I have loved and I have lost/Broken rivers I have crossed/I have made it from the flames/Like a diamond I’ve been shaped a thousand times again.” Suddenly, she discovers hope (“Now I can love deeper, I wanna love harder”) and struts into a set of empowering lyrics with a sprightly climax aided by an Adele-esque piano and a gospel choir. And she opens up the song in such a way to broaden the tent of inclusion: “So love like you’ve never been heard/’Cause love can change the world.” In these brutal, uncertain times, when aggressive politics have divided us into our own selective tribes, Tamia teaches us that love – as cliché as it sounds – is the answer for the world today. This is soul music indeed, but with this type of commanding performance, this release is certainly deserving of a wider audience. So don’t be totally alarmed if pop radio seizes it. 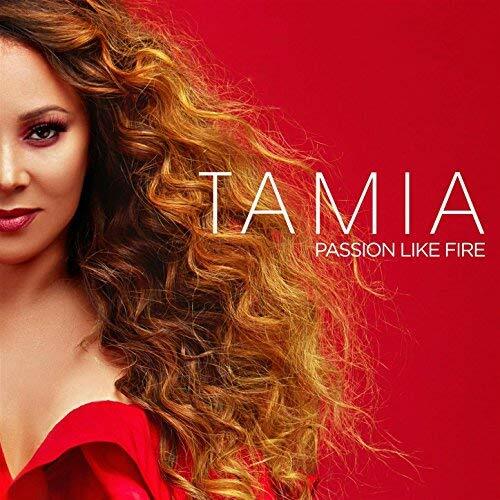 “Deeper” is the second single to be released from Tamia’s forthcoming seventh studio album, Passion Like Fire, which drops September 8. As we wait for the album release, take the time out to enjoy this rapturous ballad in this newest SoulTracks First Listen.